Forward-thinking, creative health education professional with a proven record in K-12 program development, expansion and statewide implementation. Successful grant writer/fundraiser, and project manager able to take ideas from on-paper concepts to in-school programs. Enthusiastic supporter of health education programs that educate and empower participants, with a 'practice what you preach' attitude toward health and fitness. Experience speaking, teaching, and engaging audiences in the following situations: Teach and lead fitness classes at Emporia State University Teach traditional lecture classes at Emporia State University Lead meetings to engage partners and build coalitions Present information at breakout sessions at the following conferences and workshops: Kansas Coordinated School Health Fall Conference (Fall 2008, Fall 2009) Kansas Association of Health, Physical Education, Recreation, and Dance Fall Conference (Fall 2008) Kansas Teen Wellness PEP Rally Youth Summit (Summer 2009) Child & Adult Care Food Program Fall Workshop (Fall 2007, Fall 2009) Kansas PTA Advocacy Training Conference (Fall 2009) Kansas School Nutrition Leadership Forum (Fall 2010) Evaluation and participant feedback can be provided, upon request. A thorough, working knowledge of Microsoft Office 2003 and 2007 including: Word Excel PowerPoint Publisher Outlook A working knowledge of Adobe Dreamweaver focused on uploading and updating content to website templates and existing websites. 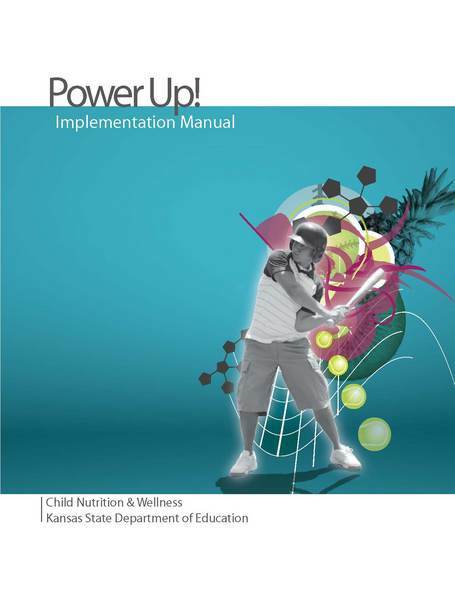 The current Kansas Team Nutrition website, www.kansasteamnutrition.org, is evidence of my ability to upload text, documents, photos, and graphics as well as my capability to link to documents, email, other websites, and other pages within the Kansas Team Nutrition website . A basic knowledge and understanding of Adobe InDesign (CS3 and CS4) that has allowed for a partnership with graphic design personnel. 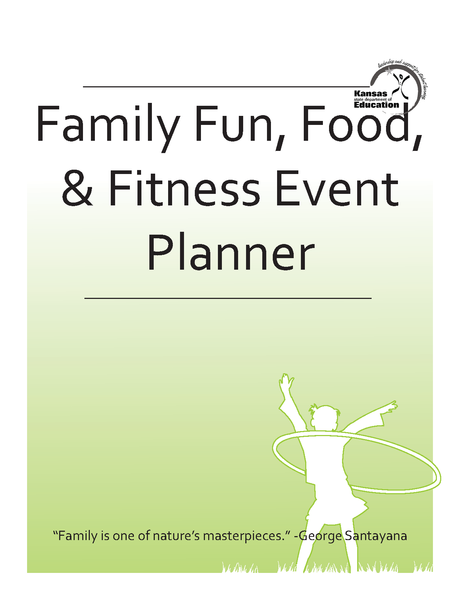 The Family Fun, Food & Fitness Event Planner in the portfolio section to the right is an example of this partnership. Working with graphic designers to develop the concept and layout, master pages were developed by the graphics department to match the needs of the project. Using these masters, I was able to utilize Adobe InDesign to insert text, tables, documents, and graphics. Awarded over $2.8 million of grant funding through competitive opportunities from private foundations and government agencies. For a complete list of grant awards and funders, see the List of Grant Awards in the portfolio section on the right. Ability to direct and expand the scope and participation of both new and existing projects. Current Project Director/Project Manager duties and skills include: Coordinate the development, promotion, and implementation of program activities statewide Manage and coordinate multiple nutrition education and school wellness programs Monitor and manage budgets from multiple funding sources Oversee staff members Effectively coordinate project and vendor timelines Oversee grantee schools' program implementation and budget expenditures Provide training and technical assistance to grantee schools Evaluate quality and effectiveness of programs Report program success to funders, administrators, and grantees Expand program scope and participation Raise funds to support program continuation/expansion Current project director of the following programs: Kansas Team Nutrition - a USDA-funded program that includes Kansas-developed nutrition education programs such as the Power Panther Pals programs, Power Up, and the Family Fun, Food & Fitness initiative featured in the portfolio section on the right. 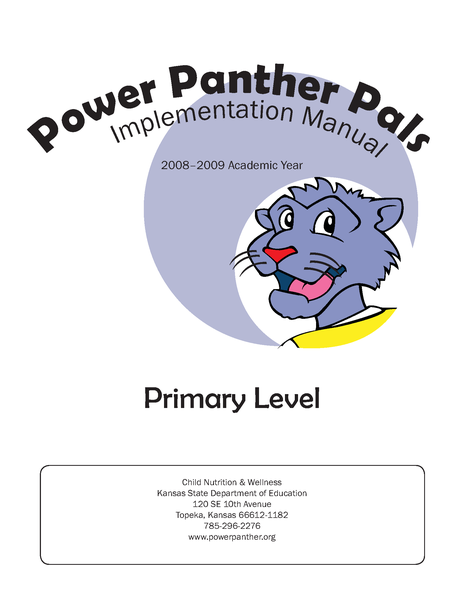 Additional Kansas Team Nutrition programs, such as the Power Panther Professionals staff wellness program, can be viewed at http://www.kansasteamnutrition.org. Eat, Exercise, Excel Replication Project - a school wellness program that incorporates regular, non-competitive physical activity and nutrition to improve student health, achievement, and behavior (www.eatexerciseexcel.org). Secured over $2.8 million in competitive grant funding since May 2006. Expanded participation in Power Panther Pals, a health education program for elementary students, by over 80% to reach over 9,000 students annually. Developed 4 new health education programs targeting students, staff, family and community members. Oversee the development and operation of the Body Venture traveling health education exhibit. Member of the Health, Physical Education and Recreation Department's undergraduate committee. Educate undergraduate athletic training students in prevention, evaluation, care and rehabilitation of athletic injuries in a clinical setting. Teach Clinical Education II for Emporia State University's Athletic Training Education Program. Member of the Health, Physical Education and Recreation Department's graduate committee.